While most of us would rather build our own PCs, we'd still rather have you gaming than not at all. And there's no better gaming experience than on a PC. That's why MSI All-in-One systems have become increasingly more powerful over the last couple years, and they've even managed to put in not only some style tweaks, but some cool technology that will extend your investment. The MSI Vortex gaming tower (pictured above) takes a lot of cues from a certain fruit branded garbage can. 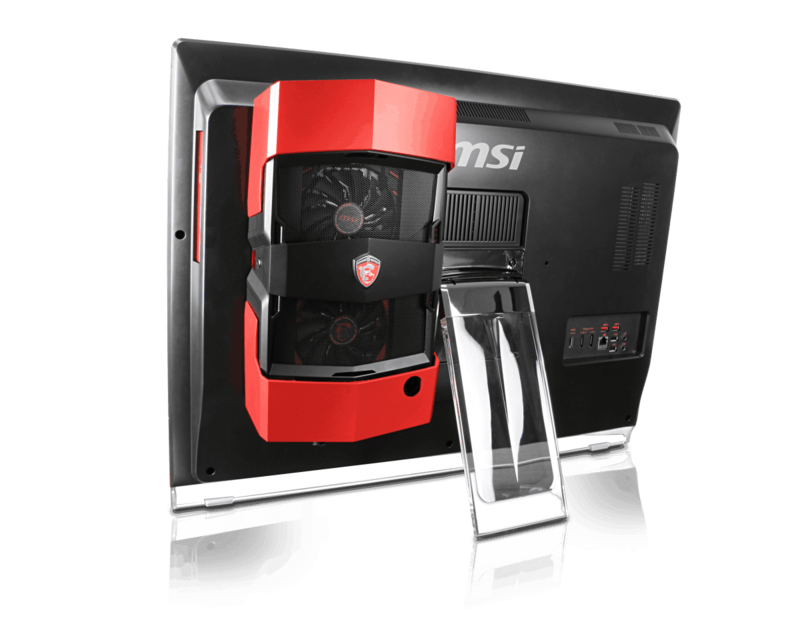 For example, MSI used the inspiration to create a PC designed to fit anywhere, in a 6.5L casing. Yet it still comes packed with power with an Intel processor, and dual NVIDIA® GeForce® GTX 980 SLI graphics. To keep everything cool, MSI also incorporates a 360° Silent Storm Cooling design for superior cooling under intense gaming. Support for multiple 4K video outputs is also part of the deal. But where MSI achieves where the Apple Mac Pro falls short is in expandability with an easy-to-upgrade design for DIY users. It's due out later this year. If you're looking for an even more integrated design that will prove even more LAN party friendly, MSI’s Gaming 27XT is hard to beat. It's also the world’s first All-in-One PC to support an external desktop graphics card, giving you the ability to upgrade your graphics to support the latest games. Albeit within a narrow range due to power requirements. Other tech onboard includes MSI's new Nahimic Audio Enhancer, Killer Lan networking, and a 144 Hz Full HD display. Overall, these two offerings alone show MSI's willingness to experiment with new technology and bring it to market for gamers. Both of which should make PC gaming a lot more accessible to the masses, with a bit of style. More photos of this and other new products below.